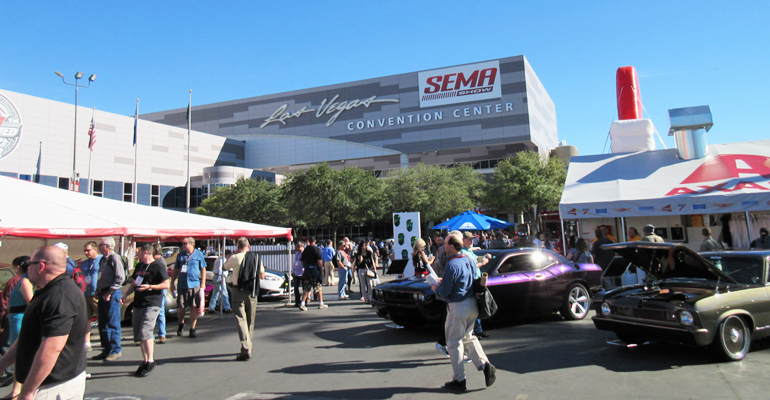 We gave birth new Deflector KITs of NEXT NATION that brought a lot of excitement at SEMA show every year. 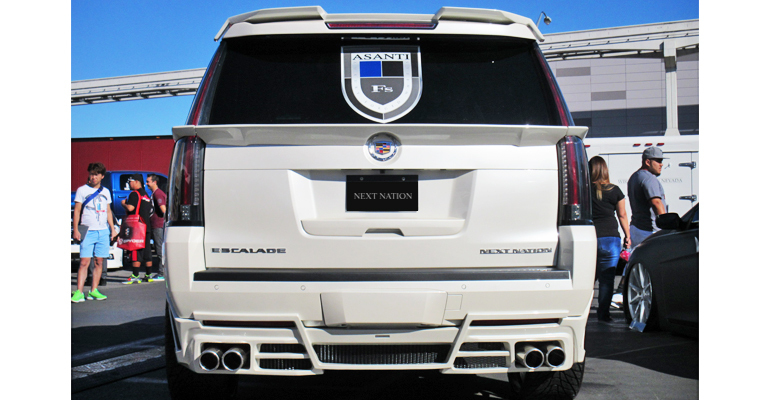 This is a new pearl white colored Escalade equipped with the new NEXT NATION wide body KIT. 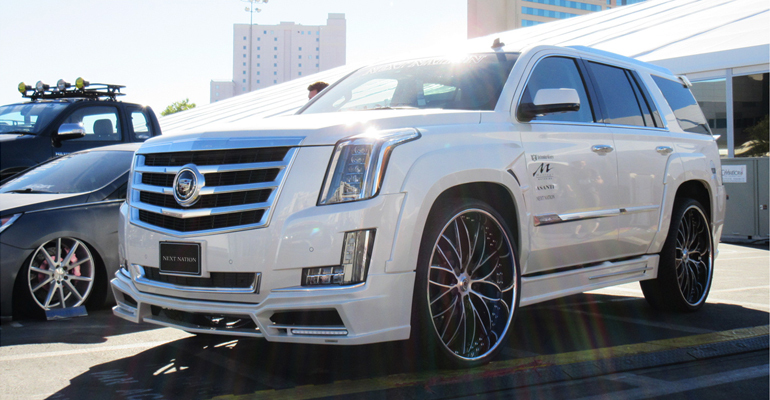 It stood out at SEMA show among thusands of customized vehicles.The best of deflector KITs for Escalade which may go down in history of American luxury SUVs. 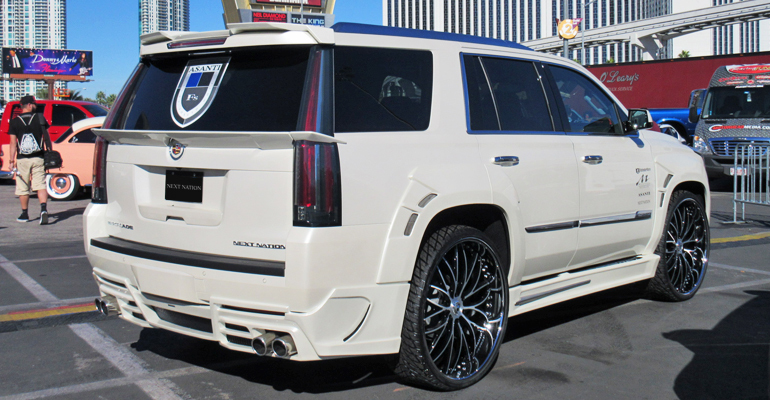 It was proven at SEMA show that the fully equipped new Escalade with the new NEXT NATION deflector kit is evocative to American celebrities as the new KITs became a hot topic in the US.It was the moment that the new deflector KITs were known in the US, where is leading country of customized vehicles in the world, to be reliable as they were designed in LA and manufactured in Japan. The deflector KITs made their debut at TOKYO AUTO SALON 2015 in Japan. Please feel free to contact us. 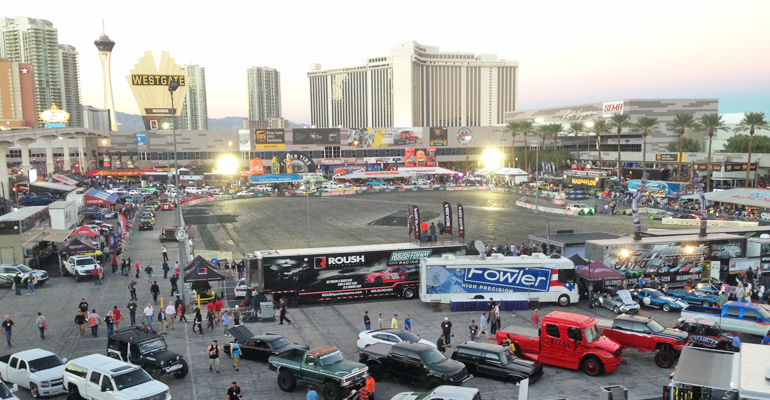 We welcome any inquiries.